Brand New Garrett Turbo with Wicked Wheel 2! 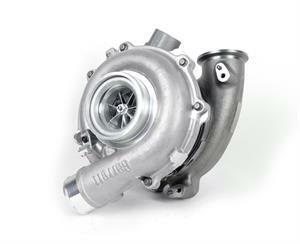 This turbo is a stock replacement for your 2003-2007 Ford 6.0L Powerstroke but with major upgrades. BRAND NEW TURBO - NOT A REBUILD! Don't have the money to spend on an upgraded turbo system or the PowerMax turbo? Consider this BRAND NEW turbo that comes pre-installed with our Wicked Wheel®2 compressor wheel. NO CORE REQUIRED! We are offering a stock size turbo with upgrades that make it comparable to the PowerMax in that it offers all the same benefits but without the risk of turbo lag if running stock injectors. Wicked Wheel 2 has been properly balanced and comes already installed.